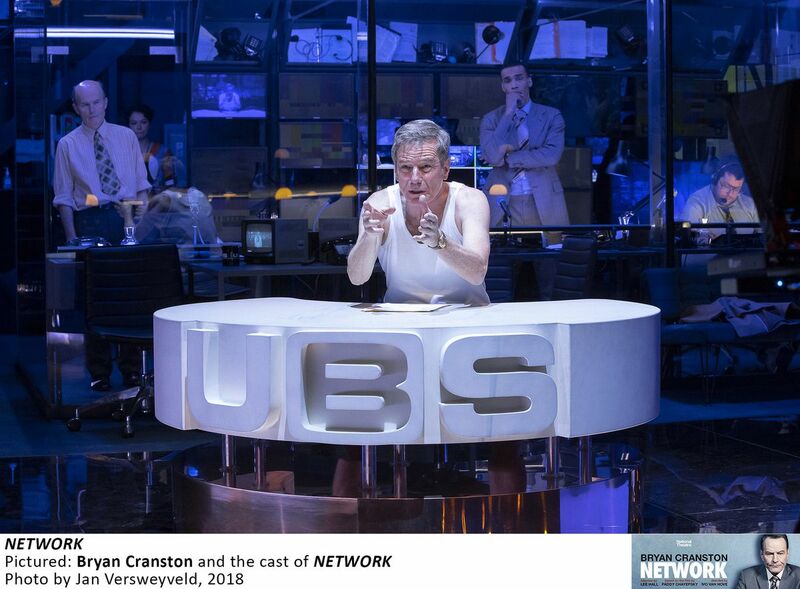 'Network' starring Bryan Cranston: Sure you're mad as hell, but what are you not going to take? Not all of the personal scenes are as strong as Cranston’s astonishing solo spots. Tatania Maslany is surely credible as a mercurial TV exec willing to dive low for ratings, but she’s unchangeable and thus inaccessible when it comes to the deeper themes of the piece. Tony Goldwyn works better — you can read the pain on his face — but he’s too tentative, especially as compared with William Holden in the movie, meaning that Cranston and Maslany can run for their touchdown into lucrative insanity with too few old-school linebackers in their faces, especially since Joshua Boone, playing a role made famous by Robert Duvall, feels uncertain, too. But there’s one blistering exception: a scene between Goldwyn’s Max Schumacher and the superb actress Alyssa Bresnahan, who plays Max’s wife, Louise. It’s a killer confrontation, instantly recognizable to anyone with a ring on their finger and a reminder of the human cost of going rouge.